As of today (1 April 2019) Innius B.V. has become a separate company as part of the Van Mourik Group, experts in production process optimization. innius® is a powerful smart industry software platform for industrial machine manufacturers and industrial machine users. The take-over of Innius fits within the smart industry strategy of the Van Mourik Group to enhance the professional services. The innius® platform and the Innius’ apps help manufacturers and producers around the world deal with challenges related to plant productivity, energy consumption, product quality, physical waste and machine performance. The apps from innius® enable machine manufacturers to improve their customer experience with proactive support including remote machine monitoring and predictive maintenance. With support from the smart data and apps from innius®, users of the machines can apply lean manufacturing best practices validated by real-time production data to improve their core production processes. Manufacturers and users can collaborate to achieve a sustainable competitive advantage by utilizing advanced data analytics and actionable business intelligence. 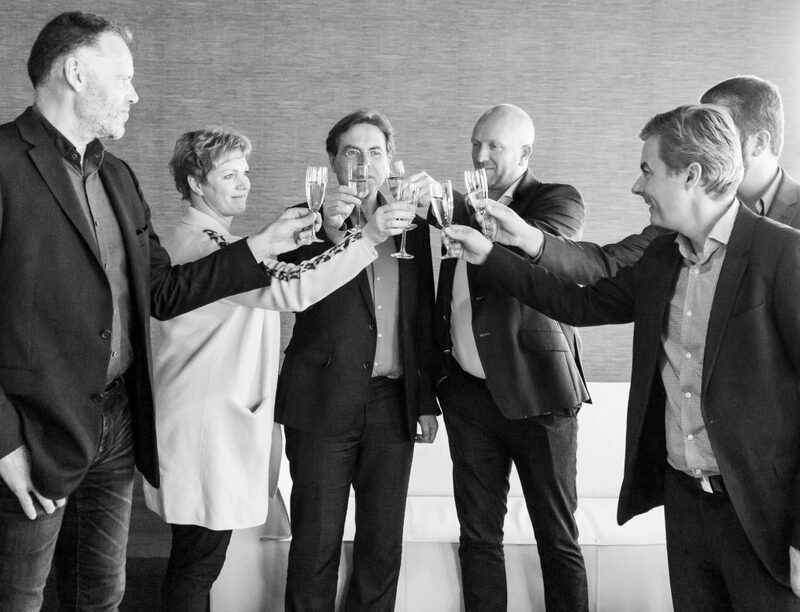 ‘I am delighted about our forthcoming arrangement with To-Increase and excited about the possibilities of having Innius as part of our Group,’ said Marco van Mourik, CEO, Van Mourik Group. ‘We feel that the constantly evolving technology from innius® is at the cutting edge of a new industrial revolution. It incorporates the industrial internet of things (IIoT), industry 4.0, smart industry, predictive maintenance, servitization, cloud computing, mobility and social collaboration, to provide a powerful tool for machine manufacturers, production managers, and operators. innius® enables them to see the consistency between the separate production machines and conveyors within the complete production process. This gives the possibility to analyze, evaluate and respond to that’. Van Mourik Group (founded in 1990) is operating in the feed and food industry. They are specialized in the optimization, service and maintenance of existing process installations. Besides that they develop and build complete turn-key installations for the processing of dry materials. Thanks to their expertise in the field of mechanical, control and electrical engineering, projects can be realized from A to Z. The Van Mourik employees have knowledge and skills in the field of dosing, weighing, mixing and pressing/extrusion which enables the Van Mourik Group to complete projects around the globe. Their mission is to facilitate clients and to contribute to process optimization by lower production and energy costs, less downtime, reducing contamination and increasing the capacity. They can resolve failures quickly thanks to their knowledge of mechanical and electrical engineering.